Today the use of solar energy is perfectly normal and generally known. For sail boats and mobile homes, a solar module is now a standard product and can not be imagined without it. Twenty years ago this was quite different. Although there were already solar modules in a comparatively wide range, the benefit of the product was unknown to most people. Hardly anyone could imagine that electricity can come from the socket. Even generated electricity from solar cells appeared, except for pocket calculators, as unrealistic. It was said , that the duration of sunshine in our areas would not be sufficient at all and the technology is probably not yet mature. "Enlightenment was needed and would convince people of solar energy," says Thomas Rudolph, founder of SOLARA. In 1987, a world congress on solar energy took place in Hamburg. The experts' message at the time: After more than 100 years of research, it is clear that solar energy is a clean alternative to conventional electricity generation and can be used to a much greater extent than was customary at the time. 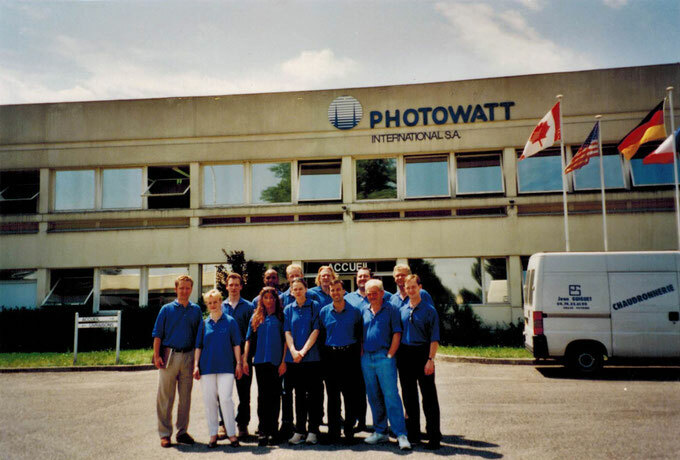 That was the initial spark and the reason why Thomas Rudolph started, after studying, a small shop for solar energy in Hamburg with an engineer in 1988. Rudolph worked there for eight years and initially sold various, mostly self-manufactured products with solar cells in the shop at Gärtnerstrasse. 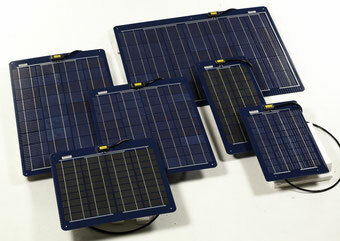 Sailors from distant countries came and bought small solar panels for their families from places without electricity. Quickly, the shop was not just visited by sailors, but also small gardeners, yacht owners and motorhome enthusiasts. Thomas Rudolph said in 1996 that more people would have to benefit from the solar technology and the direct sale to end customers would not be the best way. His idea: where you also usually buy accessories for motor homes or sailing boats, you also have to offer the solar technologies. The managing director of the small engineering firm wanted to stay with his staff and Rudolph moved on after eight years of apprenticeship. 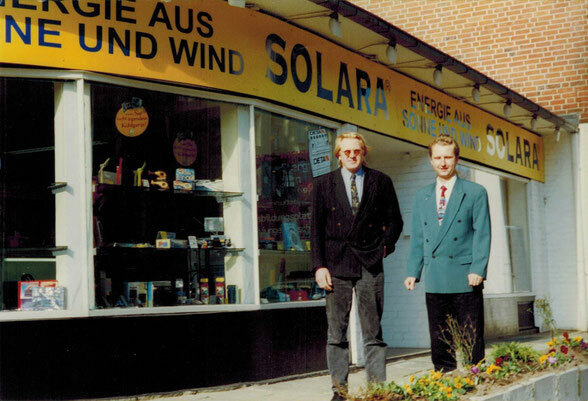 With his friend and colleague Hans Jacobs, Thomas Rudolph founded SOLARA in 1996 with just 32 years. Just being a father and thinking about a life-long future with environmentally friendly and infinite solar current for the children of this world, the motivation was tremendous. "If my children are big, solar systems on sailing boats, mobile homes and even on houses should be normal," was already his idea. Thanks to a business start-up initiative in Hamburg (HEI), corresponding state loans and guarantees and the Deutsche Bank, which also believed in the future of solar energy, a new company was launched despite the very modest equity of the two founders. SOLARA was born and already had the first employee, Dipl.-Ing. Frank Heise. 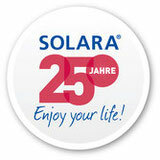 Who would also be managing partner of SOLARA in 2014 in Hamburg. After the first attempts came out of the garage and living room from Thomas Rudolph, it was clear that a real office with a warehouse, and as usual small shop had to be found in Hamburg. Quickly a suitable domicile was found in Hamburg Eimsbüttel. The second employee, Bozena Frejlich, has just been hired. To this day, she is the faithful soul in order processing and well-known to all customers worldwide. The founders initially concentrated almost exclusively on the boat and motor home market in Germany. Own fair stand at all relevant exhibitions and intensive contacts with potential resellers quickly led to the planned success. "We have overcome the skepticism about solar energy and ignorance of their great advantages by emphasizing the benefits and not the technology," says Thomas Rudolph. Not watts, volts and amps were the focus, but information about which electrical equipment you can operate with solar and how long. The simple representation of the average day (Wh / d) of a solar module was born. Thus it was now easy to bring the electricity demand of the consumers in relation to the solar yield. The specialist was able to quickly identify the customer's needs and then recommend the appropriate solar module. This was the breakthrough in sales. According to the motto "Make it simple". Today you would probably say "plug and play". Of course the right products were decisive. Even though the resellers were able to demonstrate the benefits of the SOLARA solar system for sailboats or camper vans, it was above all the message that the solar module is a suitable product. So the SOLARA specialist had to prove to the skeptical customer again and again that sea water or hail is not a problem for solar modules. SOLARA already had its own development ideas, special requirements and the highest quality requirements were requested of the producers. Surely this is also an important part of the now twenty-year successful existence. Also because camper drivers and sailors exchange their experiences and recommend good products. Already one year after the founding, the management decided to enter international business, especially in other European countries. All information and user manuals had to be translated into English. English-language sales talks, travelling abroad and trade fairs were now the new challenges. Frank Heise: "At that time still without Euro, with passport and extensive export processing, partly even with customs. Today hardly imaginable in a unified European market. " The premises were quickly too small and already in 1999 the next move to Hamburg Altona had to be made. In the meantime more than 12 employees were employed at SOLARA, and sales had risen to several million DM. The high requirements and specifications for the different applications with SOLARA solar modules made it necessary to build up their own production. With the support of his suppliers and the graduate physicist Ralf Hennings from Wismar, who had already had a few years of experience, the SOLARA Sonnenstromfabrik started production in 2001. From then on the development continued in huge steps. The double-digit million mark was quickly broken, and SOLARA was one of the first major players in Europe. 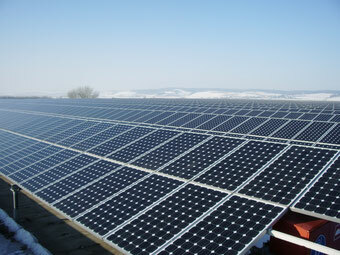 With the start of the "100,000 roofing program", the funding initiative of the Federal Government in 1999, solar modules for grid systems were also manufactured. In 2004, a trade magazine drew SOLARA not only as the best brand of the year, but also supplied the solar modules for the world's largest roof-mounted system for BMW in Dingolfing, Bavaria. The production was constantly expanded and finalized in 2008 in a building with 20,000 square meters and a capacity of several hundred megawatts and over 200 employees in Wismar, on the coast of Mecklenburg-Vorpommern. To cope with this rapid growth, SOLARA had grouped with other companies in 2006 and merged into CentroSolar AG under the listed CentroSolar Group AG. This was a surely wise decision to continue to operate and expand the business model with production and wholesale competitively in the rapidly growing demand and financially strong competitors. Like many companies, the Centrosolar 2013 had also fallen into the vortex of the decline in the solar industry for grid systems in Germany. In this situation, the SOLARA dissolved again from the Centrosolar Group. With its off-grid applications such as sailing boats and mobile homes but also for extraordinary electrification in Africa, for expeditions and much more, SOLARA continues to be very successful. With a completely revised product portfolio, the company has returned to its headquarters in Hamburg Altona. With the three solar-driven and solar-inspired engineers Frank Heise, Mirko Held and Walter Grauerholz, as managing directors, SOLARA is well positioned for the future. 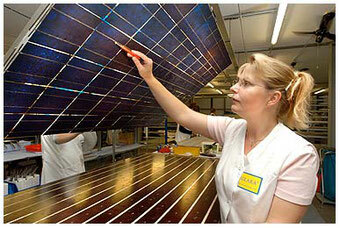 SOLARA solar modules are still coming from the Sonnenstromfabrik in Wismar. The factory now has more than 15 years of experience. Frank Heise: "Innovations, quality and longevity are still important to us and I know how to do it after 20 years. More than 20 years of guarantee have been a matter of course for SOLARA since its inception. " SOLARA is a company with a history in this still young branch of industry and stands out through it resistance to the turbulences. The vision of SOLARA founder Thomas Rudolph 20 years ago: "If my children are big, solar systems on sailing boats, mobile homes and even houses should be normal" is, as we know today, not only become reality, but with well over a million Solar systems on house roofs alone in Germany and much more on sailing boats and mobile homes worldwide, surpassed. 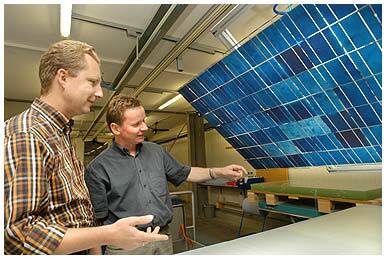 Operators of solar systems can now produce a kilowatt hour for less than 10 cents in Germany. This is far more favorable than the roughly 30 cents, which today's customers in energy groups have to pay in many cases.